Uri: The Surgical Strike - Overseas Box Office Collections : Crosses $5 million mark. 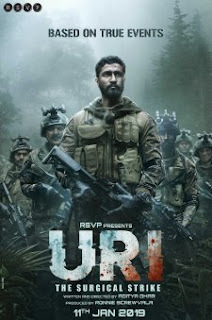 The Vicky Kaushal, Yami Gautam starrer film Uri is doing exceptional business worldwide. The film has now crossed the $5 Million mark in overseas market which is an outstanding achievement for a film like this as both the star cast and genre are not considered overseas friendly. Here is the Break Up of Overseas Collections (3 Weeks) in Major Overseas markets.